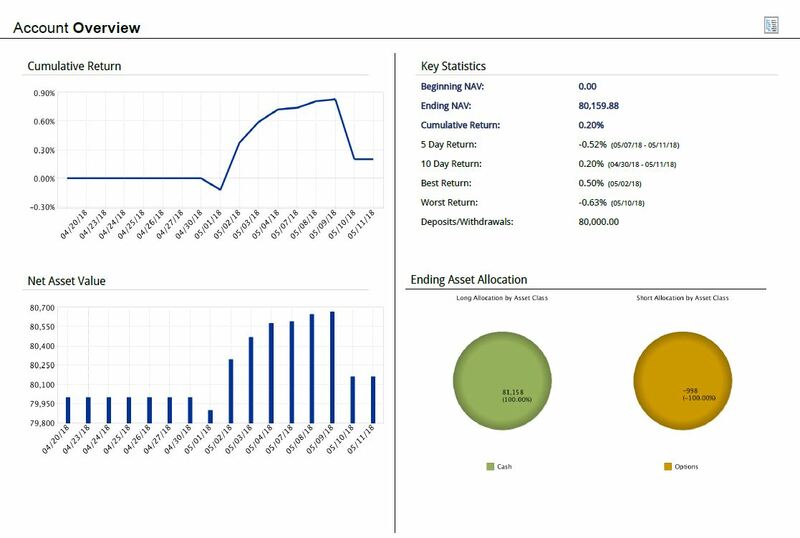 Technical indicators are the first thing that newcomers are trying right after installing the trading platform. No wonder, I was fascinated by their spell too. The biggest problem of indicators isn´t that there are too many of them and each of them can be changed and individually set according to preferences, the biggest problem is the quantum of information they provide and which needs to be filtered. 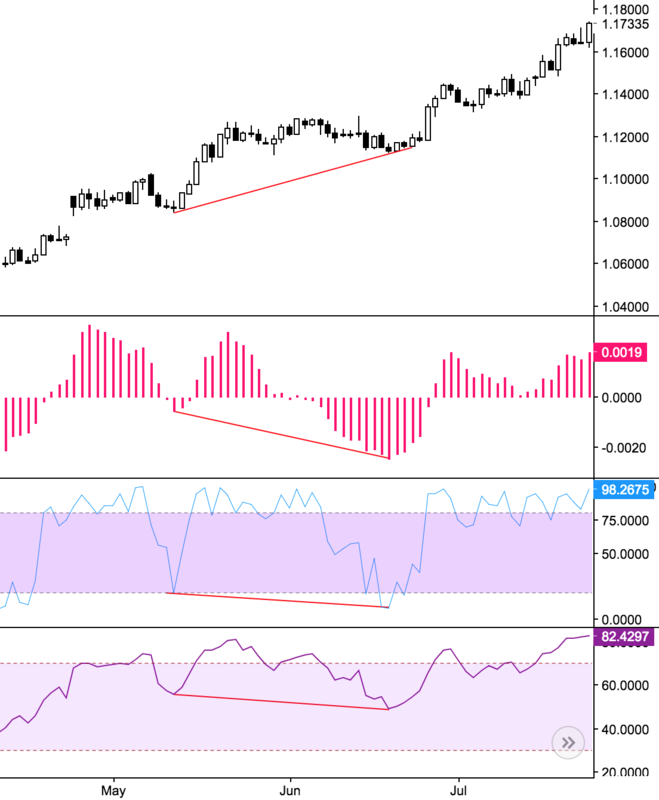 Indicators are based on mathematical formulas, for example the RSI indicator with the period 14 calculates the last 14 candles and gives us information accordingly. 1) Leading – The indicators in this category give a signal for entry before the trend begins. 2) Lagging – The indicators that analyze the market with a certain delay. Typical example are moving averages. The main difference between the two categories is that the leading indicators are trying to analyze the market ahead and therefore we are getting signals for entry at the time when the market is not yet in trend, for example in a chop, but gradually increasing number of buyers or sellers can be evaluated by indicators as rising momentum and thus we can get a signal to enter the market. Lagging indicators are used primarily to confirm the strength and direction of the trend in which you are already. 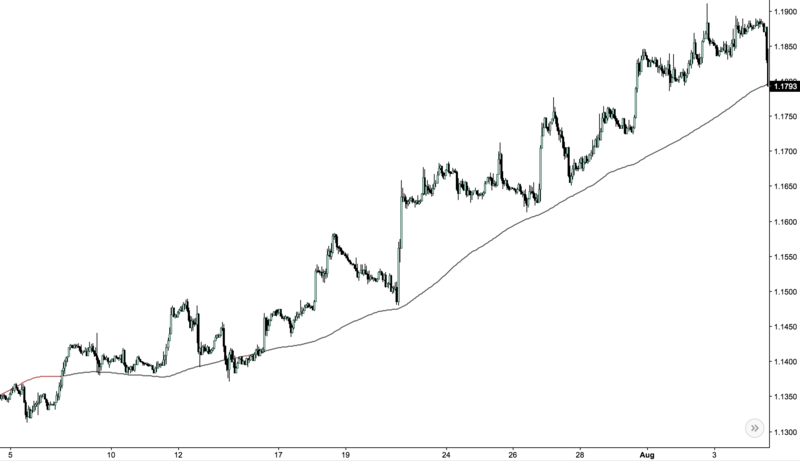 It serves primarily to confirm the trend, measure the direction and strength of the trend. For example, if moving averages are below the market, it indicates the predominance of bulls and the market is in uptrend. These technical indicators measure the speed of price movements by comparing the current closing price with previously closed ones. If there is a divergence between indicators and price, we can expect a trend change. These indicators measure the speed of price movements (the size of the candles) regardless of the market direction. They provide useful information about the range of buyers and sellers that takes happens on a given market and help traders to determine where the market can change its direction. 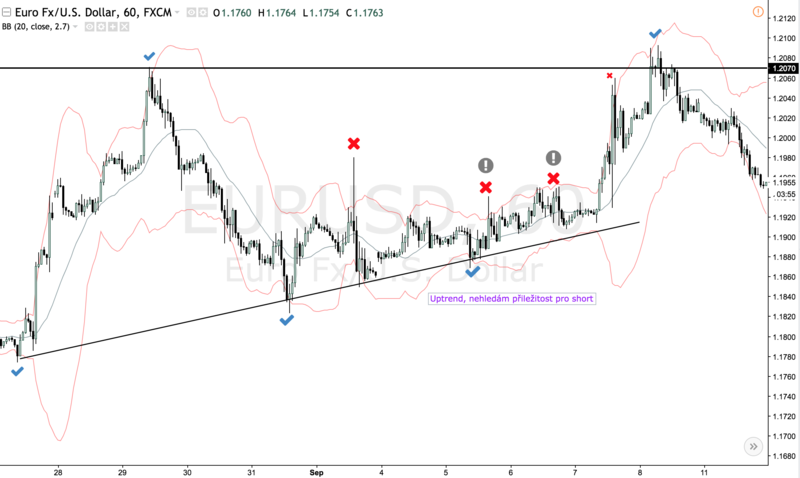 Measures trend strength or confirms market direction based on some form of volume averaging. The strongest trends often appear when the volume is increasing. In fact, an increase in the volume of trades leads to high price movements. I do not agree with the slogan that the more indicators you have, the better is your understanding of the future market behavior. Try to keep it in 2-3 indicators and focus on learning everything about them. Keep following of how they work under certain market conditions (for example, with increased volume) and look at the patterns. Do not select the indicators that generate the same type of signals. Use different types of indicators that complement each other perfectly with the market image. 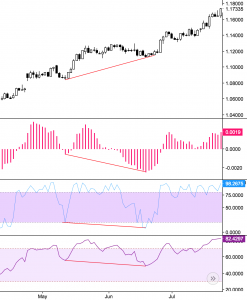 If your strategy only depends on the indicators, try to add to the main indicator on which you have a strategy (such as RSI) based on an optional indicator, such as a volume indicator, which filters out the inputs without the necessary market volume . Just be careful with the volume display when trading forex generally on Metatrader platform. It does not show the right volume, but the number of price changes for the given time period.